Before everything in my life went haywire and I ended up at Primary Children’s hospital last Saturday through Monday with my grandbaby (who btw seems to be getting a little better each day thank heavens! 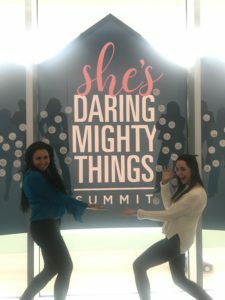 ), I had the awesome experience of speaking last Friday at Utah State University’s Huntsman School of Business Forum on the topic She Dares Mighty Things. It was awesome to see a room packed full of young women along with the young men at the event as often times the ratio of young women in the business events on campuses is really low. 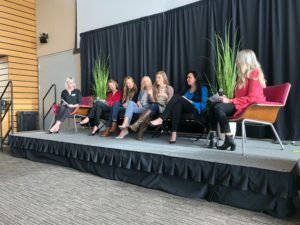 We discussed everything from believing in yourself to balancing the desire for motherhood with getting an education and pursuing business goals – a topic that is pressing on the minds of many young women today at the different Universities I visit. 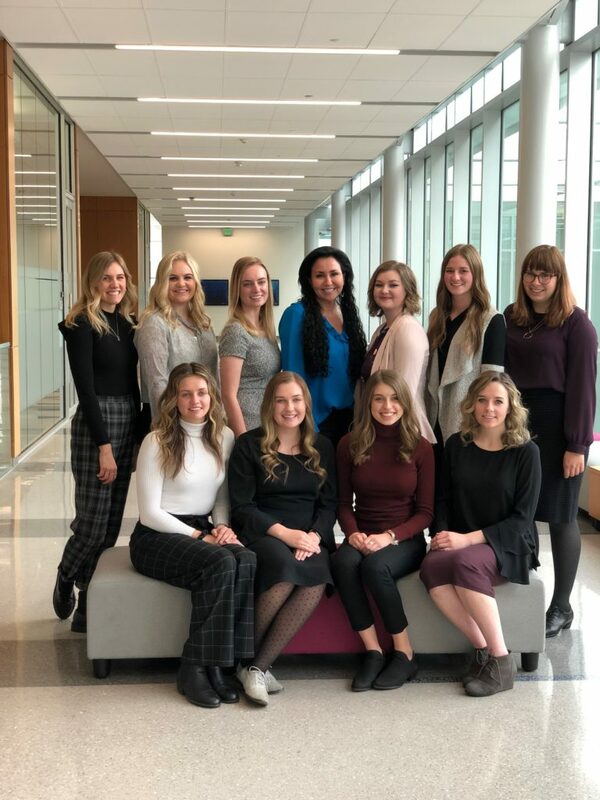 Following that event I was able to meet with the new cohort of students starting this semester in the Amy Rees Anderson Academic Entrepreneurs Program at Utah State University in partnership with the Center for Growth and Opportunity. 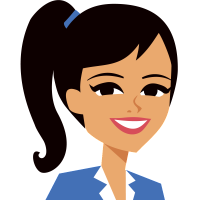 The young women joining the program this semester are AWESOME! I am so excited to work with them! One of the best parts of my life is spending time speaking and mentoring students at the Universities. When I can explain to them how I started out as a college dropout who couldn’t balance her own checkbook and that I went on to build a company and sell it for $377 million dollars it helps them to see that they are starting out way ahead of where I was at their age, and if I could do something like that then they can achieve whatever they want to. Because let’s face it – when they find out I cried the first time I had to take out my own trash as a single mom, and when I admit McDonald’s drive-through happy meals are still one of my favorite meals (don’t shame me…billions of other people clearly love McDonald’s too…), and when I admit that even after being CEO of thousands of employees and growing a successful tech company that I was still afraid to go on a bike ride just last October…it lets them know that even successful people are just people…it shows them that we all have fears and insecurities we battle at every stage of our lives…and the difference in achieving success or not is just not allowing your fears to make you feel small, or unimportant, or incapable. Because you are. Tomorrow I am back to Utah State University to speak at their Entrepreneur Leadership Conference. This time I will speak on becoming an entrepreneur, how to come up with business ideas, raising capital, how to do things inexpensively, sharing some important leadership lessons I learned, and talking about goals. I am also excited because I get to bring a few advanced copies of my new book, What Awesome Looks Like: How to Excel In Business & Life, which is currently only available for pre-order on Amazon right now until it ships at the end of this month so I can sign some for any students who want to be the very first people to get one! Amy Rees Anderson and her new cohort of students in the Amy Rees Anderson Academic Entrepreneurs ProgramHave an amazing day!